Bradley Charles Cooper is an American actor and filmmaker. He has been nominated for many awards, including four Academy Awards, two BAFTA Awards, and two Golden Globes. Cooper appeared in Forbes Celebrity 100 on two occasions and Time's list of 100 most influential people in the world in 2015. 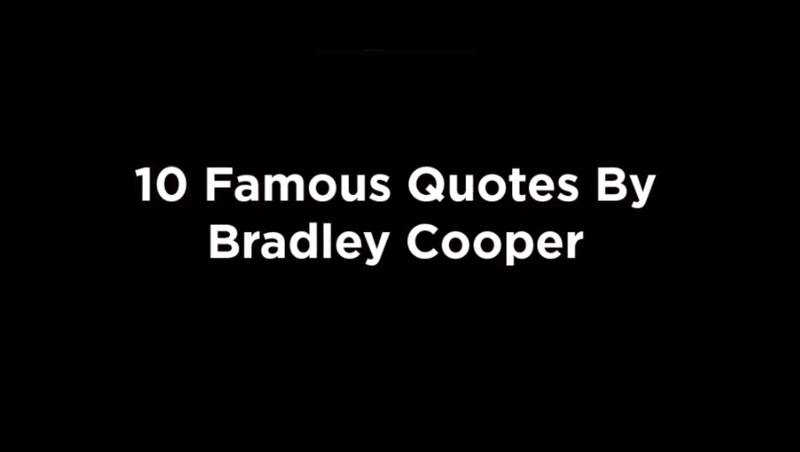 Here are 10 famous Bradley Cooper quotes.